June 2016, Lanana 106 has another good year with their Read and Ride program. 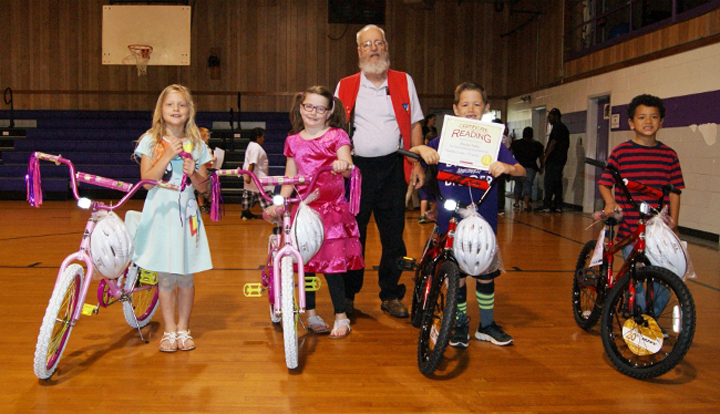 This year we have ten Elementary Schools participating, seven inside the city limits and three in outlying communities. The Schools we work with in the city of Nacogdoches include Brook Quinn Jones, Christ Episcopal, Emiline Carpenter, Fredonia, Nettie Marshall, Raguet and Thomas J. Rusk Elementary Schools. This year we purchased and assembled forty bikes and helmets to be given to the winning students, we consider this to be a long term investment. They will bring the children pleasure for a while, but, the payoff will come in the future from the benifits the child will recieve from what they learn from reading. The winners from Douglass Independent School District. 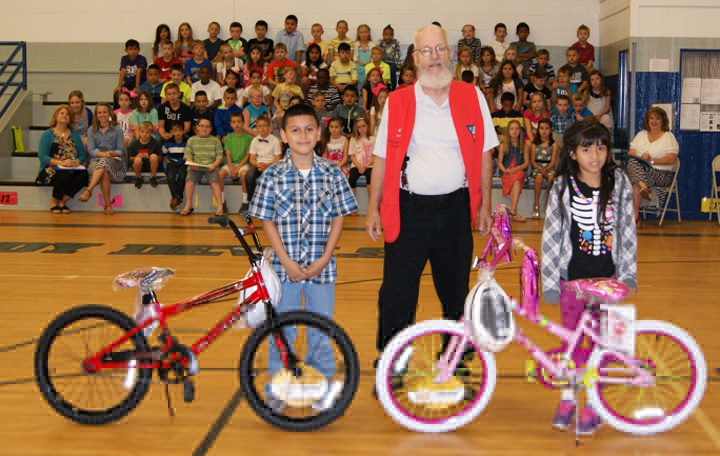 A couple of happy winners from Central Heights Independent School District.